Crowther’s latest book is his effort to tell the stories of prominent departed Southerners with nuance and intimacy. The essays contained in the book feature profiles of journalist Molly Ivins, conservative firebrand Jesse Helms and civil rights activist John Hope Franklin, among others. 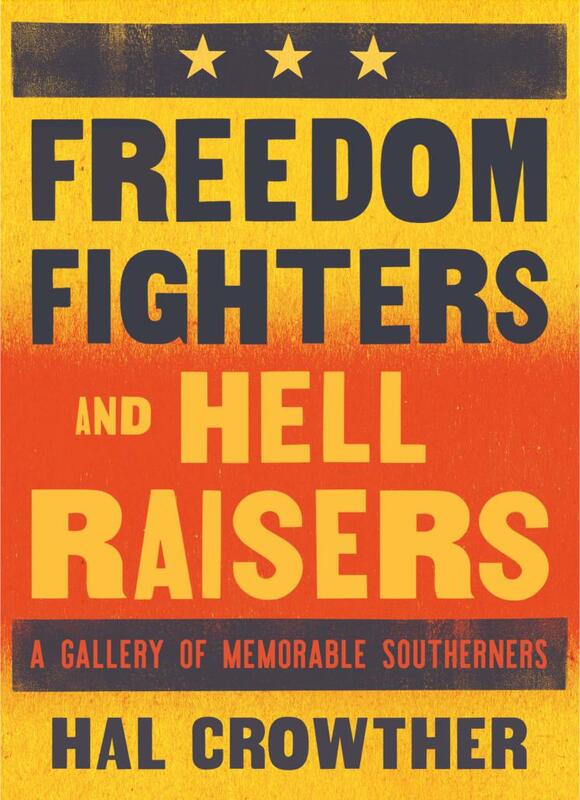 Host Frank Stasio speaks with award-winning journalist and essayist Crowther about the collection “Freedom Fighters and Hell Raisers: A Gallery of Memorable Southerners” (Blair/2018). Crowther reads from the book on Saturday, Dec. 1 at 11 a.m. at McIntyre’s Books in Pittsboro. "Molly's satirical voice at its lacerating best." "The inimitable autobiography of one of America's most uncompromising African-American intellectuals." "A masterpiece of environmental philosophy, by one of the most original thinkers of the 20th century." "A spiritual journey with the poet and nun, one of North Carolina's irreplaceable moral giants." "The first iconic Appalachian novel, a universally acclaimed masterwork by the neglected literary genius of rural Kentucky." "Profiles of remarkable Southerners by one of the most original literary stylists the South has produced." "Modern art explained and championed by one of the foremost art historians of his generation." "A celebrated memoir by the most unforgettable Baptist minister who ever graced the Southland." A section of Interstate-85 in Durham has been named for the late John Hope Franklin, a preeminent scholar of African-American history and recipient of the Presidential Medal of Freedom.